Aaron Cahn was born in Alsace, France, in 1820. He was the son of Rabbi Maier Cahn. Soon after the discovery of Gold in California, Aaron Cahn arrived in San Francisco via the Isthmus. After two years, he moved to Monterey, California, where he engaged in the general merchandise business. Later, he moved to Portland, Oregon, where he established a wholesale grocery business with stores in various cities in the Northwest – all the time maintaining his residence in San Francisco. In the early 1870’s, Aaron Cahn retired from active business and devoted his time to his private interest and charitable endeavors. Aaron Cahn was one of the early Directors of Congregation Emanu-El, and served on the committee responsible for the erection of the synagogue at the Sutter Street location. 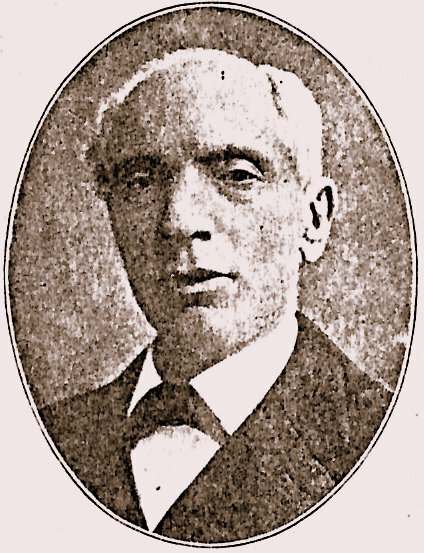 For over 40 years, he contributed both time and money to the Eureka Bevevolent Society, serving on its directorate from 1872 until his death in 1903. — Rabbi Martin Meyer, 1916. Aaron Cahn’s first wife was Estelle Reiss, who died in 1870. In 1880, Cahn married to Babette Willard. They had three children. Fred Rosenbaum, Visions of Reform: Congregation Emanu-El and the Jews of San Francisco, 1849-1999 (Berkeley: Judah L. Magnus Museum, 2000). David Epstein is curator of this Aaron Cahn exhibit.